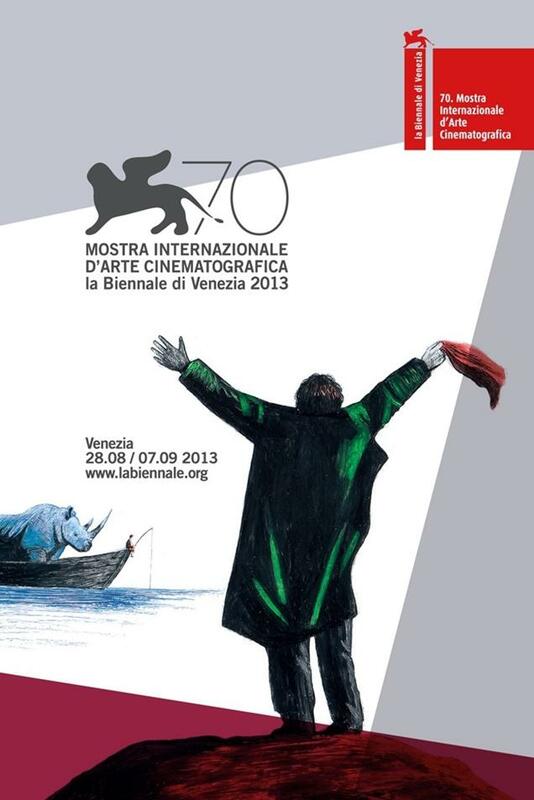 The poster of the 70th Edition of Venice Film Festival has just been released. It still holds some of the original design from last year that was inspired by Federico Fellini’s film E la nave va (And the Ship Sails On) but now a man waving from the sea shore has been added. This scene is an homage to Theo Angelopoulos’ film Μια Αιωνιότητα και μια Μέρα (Eternity and a Day) where Bruno Ganz was portrayed likewise. The poster was painted by the Italian animator Simone Massi and this year’s Venice Film Festival will run from August 28th to September 7th.